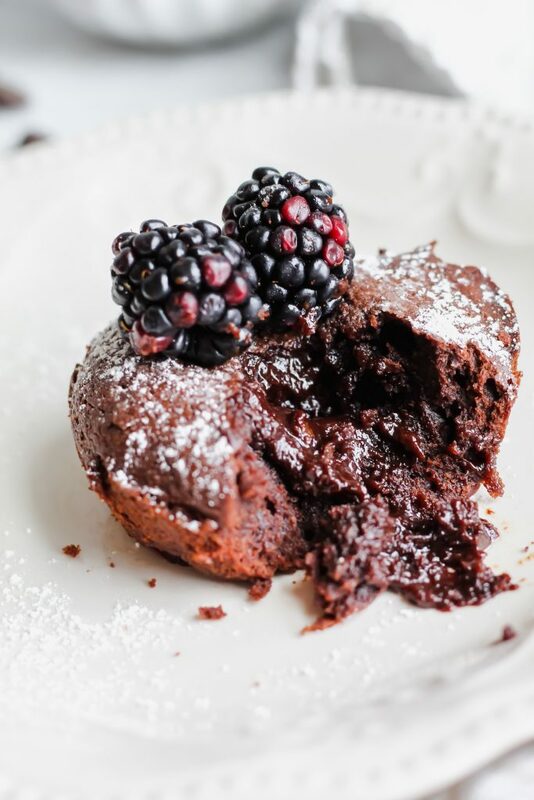 These Dark Chocolate Lava Cakes are mini chocolate cakes loaded with dark chocolate filling. Fudgy, gooey, warm and delicious, they’re the perfect easy, no fuss dessert! This will make the 4th Valentine’s Day that I’ve been with my husband. You can read a fun love Q+A that we did last year for the blog here. Every single year we have the same tradition. We stay in, make delicious buttery garlic steaks, roasted garlic mashed potatoes, homemade mac and cheese, some type of chocolate for dessert and we always split a bottle of dry red wine. It’s wonderful, low pressure, fun and best of all – we can just immediately change into sweatpants after we are done eating and lounge on the couch. That’s true love. This will be the dessert we will be consuming ever so elegantly in sweatpants this week for Valentine’s Day. It’s delicious, decadent and just mouthwateringly good. They’re not overly sweet, they have the perfect balance of dark chocolate + sweetness from the added powdered sugar in the batter. I love how gooey they stay in the middle. 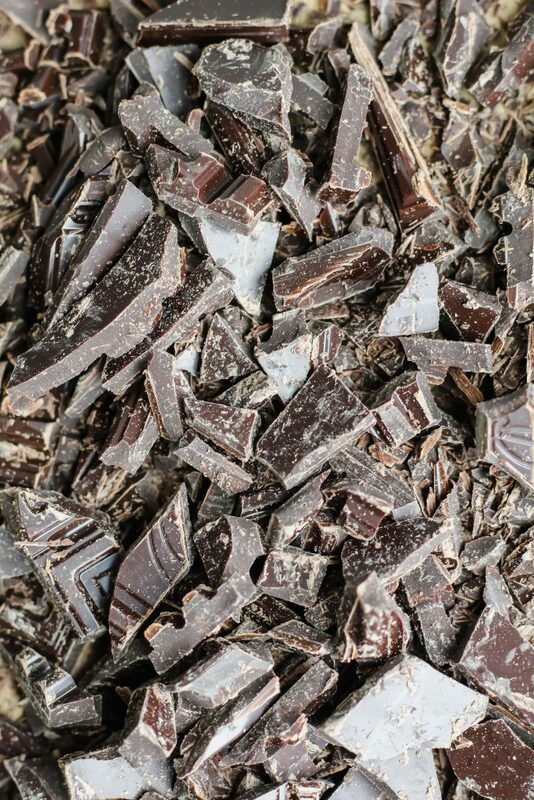 The chocolate just runs like lava from the middle when you take a bite. 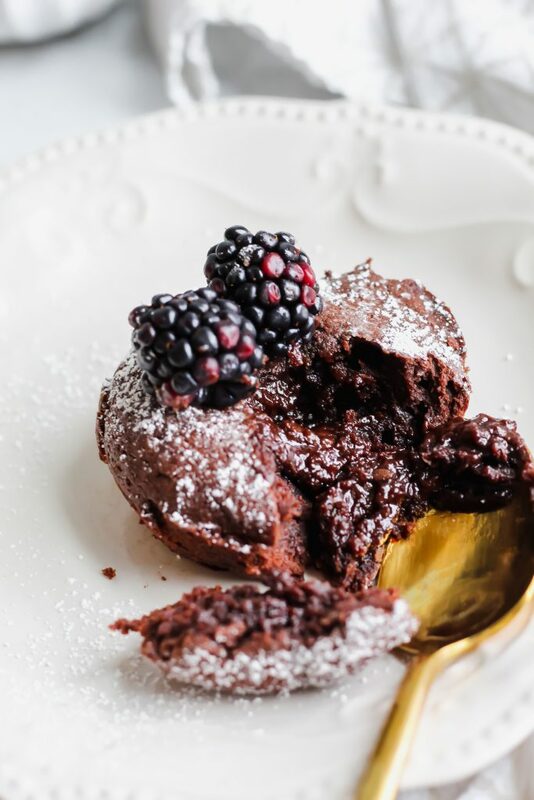 Another thing I love about these Dark Chocolate Lava Cakes? They are SO easy! No fancy ramekins needed – I just literally used my jumbo muffin tin! It worked out perfectly. So let’s get into what you need to make these delicious cakes so you can go out and buy the ingredients RIGHT NOW TO MAKE THEM. Jk, you most likely already have all of these ingredients at home. Boom. Preheat the oven to 425. Grease the muffin tin with either non-stick baking spray or even butter. Using a sifter, dust cocoa powder over each one generously. Both of these steps will ensure that the cakes do not stick to the tin. I used a jumbo 6 tin muffin pan. If you have a 12 tin muffin pan, that’s fine too. The main thing is to spread the batter evenly in each cup. In a large microwave safe bowl, add your chocolate and an entire stick of salted butter. Place in the microwave for about 1 minute to 1 minute and 15 seconds. Take out the bowl and begin mixing until smooth without any lumps. It should look extra luscious and you will want to eat it all. Refrain! In a small bowl, mix together the 2 eggs with the 3 egg yolks. Add those directly to the bowl of melted chocolate as well as the vanilla extract. To the same bowl of chocolate, add in the flour and powdered sugar. Mix all of this together, gently, until it’s fully incorporated without any lumps. To the muffin tins, add in equal amount of batter to each one. Bake for 8-10 minutes, for me 9 minutes was the perfect amount! You will notice that the outside ring of the cakes will be baked through – but the middles might look a little bit underdone. That’s what you’re hoping for! 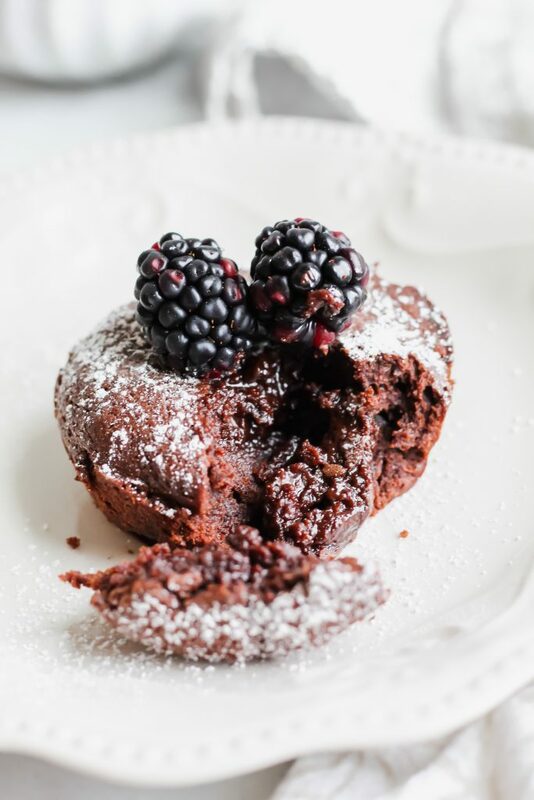 Using a bread knife or your preferred tool, gently remove the dark chocolate lava cakes from the muffin tin. They’re very delicate! Consume while warm – you want the gooiest fudgiest filling you can get! ENJOY! 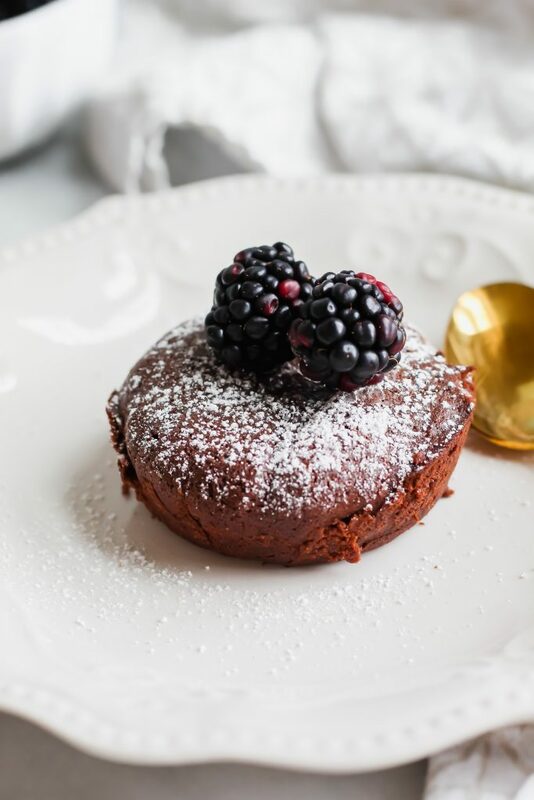 I hope you guys enjoy these Dark Chocolate Lava Cakes – but mostly, just enjoy time with your loved ones! Did you enjoy this recipe? 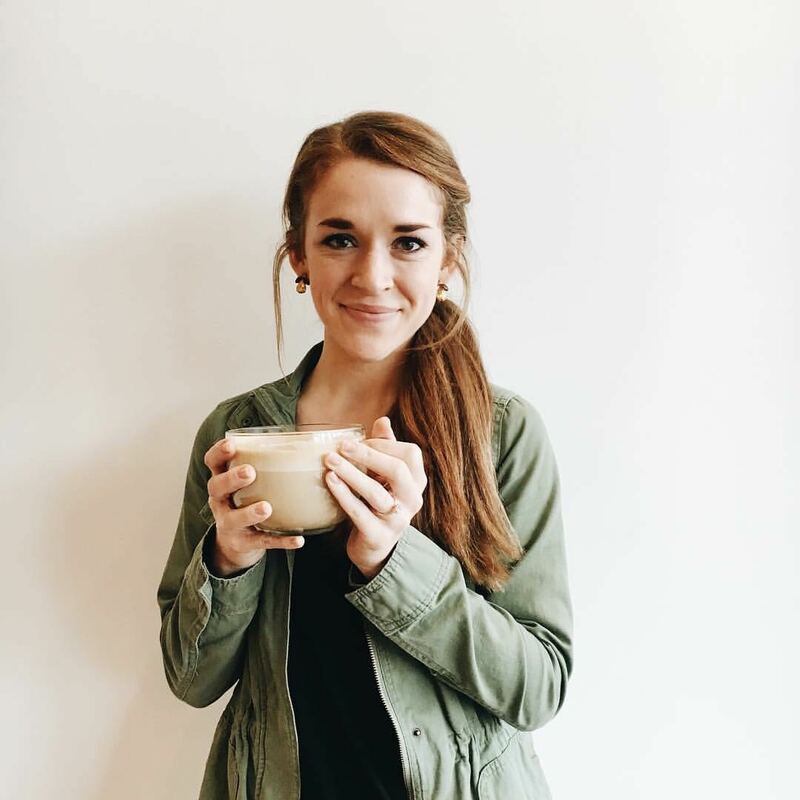 Here are some other Valentine’s Day Dessert Ideas! Preheat the oven to 425. Grease your jumbo muffin tin with either butter or non-stick cooking spray. Using a small sifter, generously dust cocoa on each of the tins. This will ensure the lava cakes won't stick. Next, roughly chop your dark chocolate. Add it in to a microwave safe bowl with 1 stick of butter. Place in the microwave for 1 minute to 1 minute and 15 seconds. 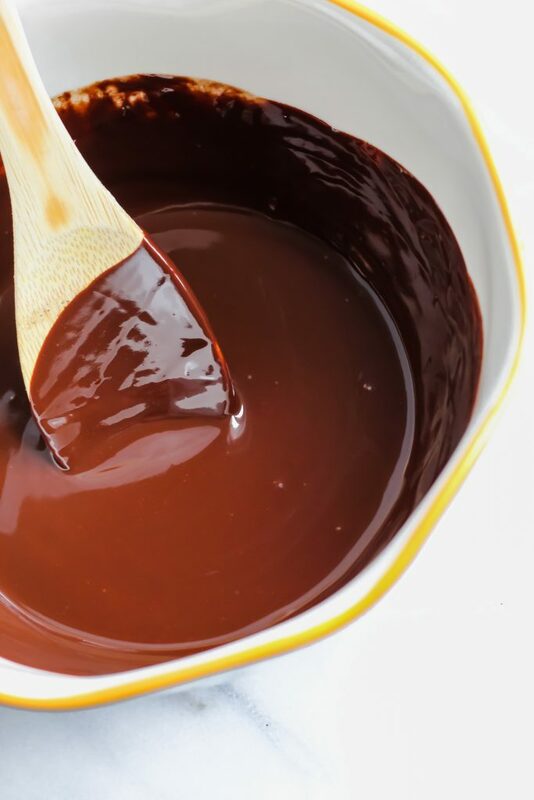 Take it out and then stir until the chocolate is beautiful, smooth and glossy with no lumps. In a small bowl, mix the eggs and 3 egg yolks together. Add those to the bowl of chocolate as well as the vanilla extract. Next, add in the powdered sugar and flour. Mix gently until combined and no lumps are in the batter. Add the batter into equal amounts into the muffin tin cups. Bake for 8-10 minutes until the outside ring of the cakes look done. The inside will still be gooey - which is what you want! 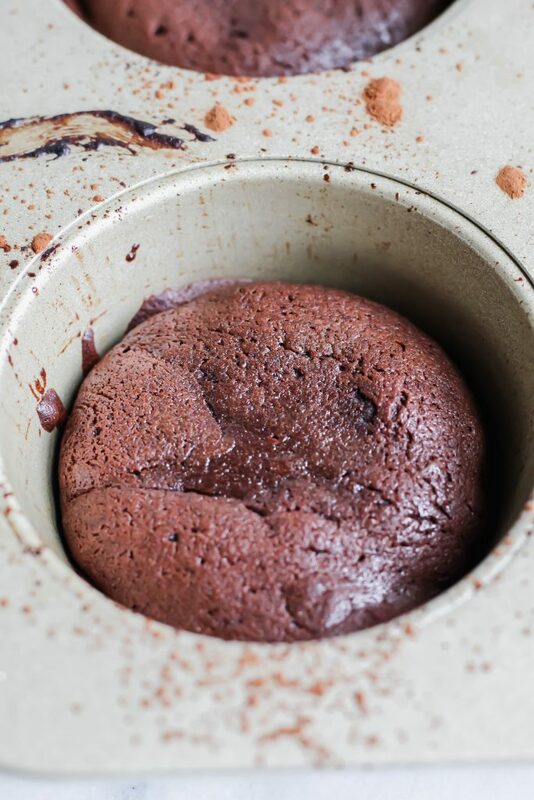 Using a bread knife or your preferred tool, gently remove the lava cakes from the muffin pan. Enjoy warm with more powdered sugar sifted on top. 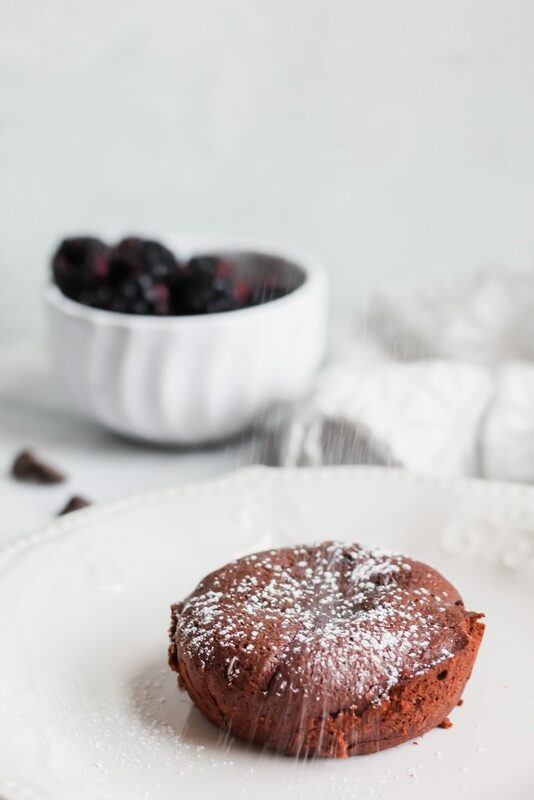 Our fur baby’s b day is on Valentine’s Day so we make the day all about him, but hubby and I will certainly celebrate this upcoming weekend and these chocolate lava cakes would be PERFECT! I love all that chocolately goodness oozing out. So fun to make too! That bowl full of silky chocolate is a dream.